Algae-Matron 3000 is a washing machine that dyes clothing with ephemeral pigments derived from the algae Galdieria sulphuraria. The machine is connected to a centralized water treatment system that utilizes the bioremediative properties of the organism to purify and recycle the consumed water. 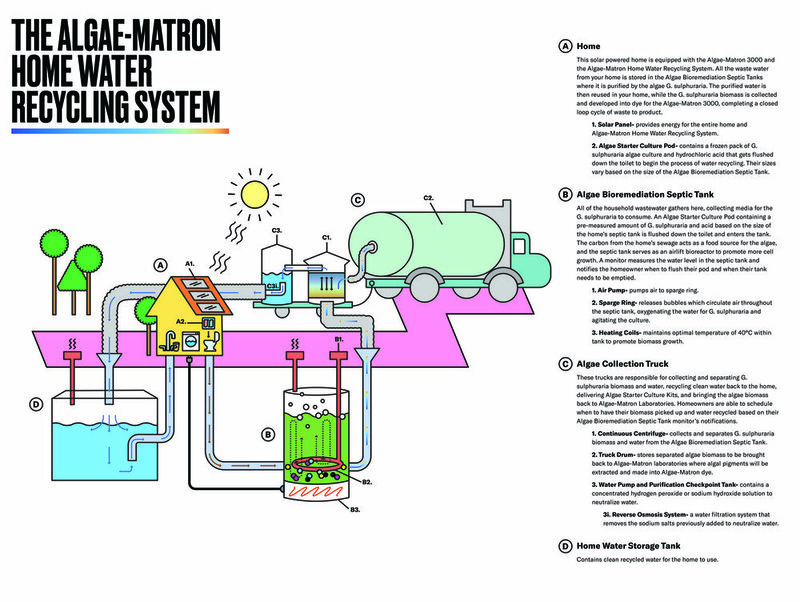 Learn more about Algae-Matron 3000.